Transitions Structured Living and Gateway Houses provide a positive, life-changing experience revolving around the needs of the resident. 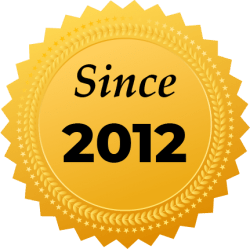 Our reputable, FARR-certified sober homes are the GOLD STANDARD of recovery residences on the Treasure Coast. Located throughout Port St. Lucie, a quiet yet thriving recovery community. You’ll enjoy modern living as well as the understanding of your fellow residents who are also transitioning into a new way of life with you. 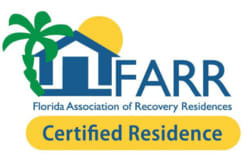 We are a FARR (Florida Association of Recovery Residences) Certified Facility, meaning that the entire staff of Transitions Structured Living and Gateway Houses has both successfully completed annual training on and has agreed to abide by FARR’s code of ethics in all of its practices. Are you ready to being a new and rewarding sober life? Research shows that you have a much better chance at long-term success if you abstain from “old people, places, and things.” This usually means a recovery residence after treatment or detox. Entering a sober home is a proven way to maintain sobriety and transition into a new way of living. Also known as halfway houses, these residences can provide the environment and social support you need to become established in your recovery and a more fulfilling, hopeful way of life. We offer accountability in areas such as employment, 12-step meeting attendance, and aftercare (Intensive Outpatient, or IOP). We can significantly increase your odds of achieving lasting recovery from a hopeless state of mind. Shouldn’t you invest in your recovery by placing yourself in the best possible position for long-term success? You owe it to yourself or loved one. Port St. Lucie was named one of U.S. News & World Report’s “best places to live.” It was also the safest large city in Florida in 2017, the last year for which data is available. For eight years in a row, Port St. Lucie has had the lowest number of crimes of any city over 100,000 residents in the state of Florida. Port St. Lucie residents enjoy a low unemployment rate. As of May 2018, it was only 3.6%, which is below the Florida state average. It’s also cheaper to live here. For example, it’s 28% less expensive to live in Port St. Lucie than it is in Miami. 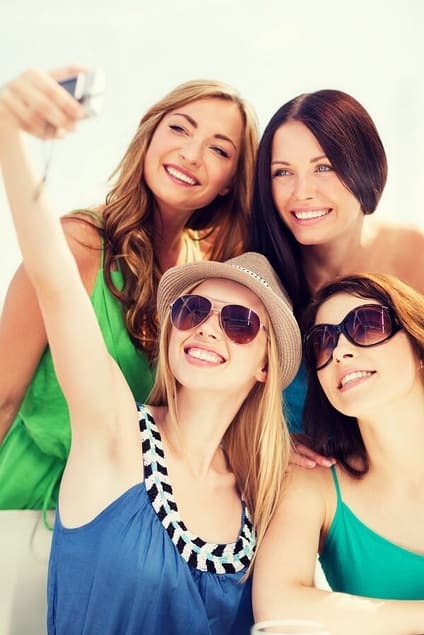 Port St. Lucie is known for its large addiction recovery community. You can choose from nine to 12 Alcoholics Anonymous meetings and two to five Narcotics Anonymous meetings at different times, seven days a week, here. Our homes are also convenient to many of the area’s treatment centers such as Foundations Wellness Center. When I came down here, I didn’t have any money or options for treatment or detox. I had kicked it cold turkey, but I was broken and disconnected from family because of my addiction. TransitionsGateway had a lot of rules and structure I hadn’t had in the past. The staff taught me how to live life outside of drugs. They taught me morals and values about how to live and treat other people, how to work a program, and the gifts you get from working a program. Through following the rules and the structure in the house – I made my bed, I did my cleaning, I attended meetings – I became a man of my word. Now, when I say I’m going to do it, I do it. Also, as a result of doing those things, I was able to be reunited with family and have a good relations with them. I was able to be a good father to my son, and to also have a great job. I was able to meet my girlfriend and have another child, and now I am able to be a better father to him. Today, I own my own home, I pay my bills, I provide and take care of my family. The greatest thing is being able to help other people in recovery every day. The time is NOW... we're here to help! 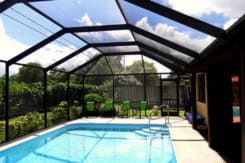 Transitions Gateway is a group of sober homes located throughout Port St. Lucie, FL. Start your recovery today by contacting one of the most trusted sources for sober living on the Treasure Coast!